Yep that’s right, I’m training for the 2020 Olympics. It’s actually a new sport…”Doing Laundry With The Help Of Toddlers”. Training is pretty intense actually, just stop by my house most Tuesdays (or Wednesdays or whatever day I do the laundry that week). I know that there are people questioning if this is truly an Olympic worthy sport, but those of us that do it each week are wondering why it wasn’t added to the Olympic Games years ago. 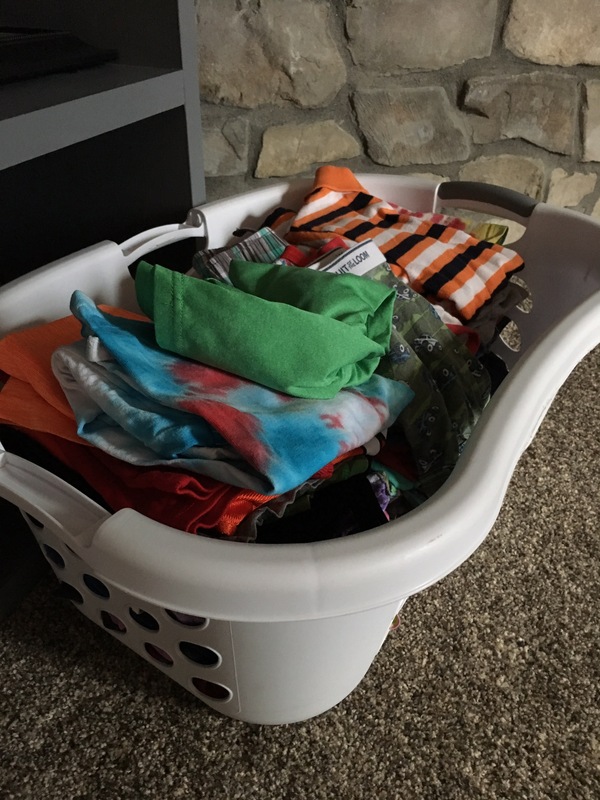 And people may be wondering if there is in fact any entertainment value in watching the sport…they are probably thinking, “how exciting can watching socks dry be?” But again I question whether those people have ever actually watched a mom with young kids hang up laundry. The rules will be pretty straightforward, the competitor, usually dressed in some sort of t-shirt and yoga pants or running shorts, often with stains from who knows what all over their outfit, hair that hasn’t been washed or even brushed for at least 2 days, praying that the application of deodorant is enough to cover up the sweat smell from her early morning run. And then 2-3 children ages 1-4 running around “helping”, usually with at least one in a diaper that needs to be changed and they all need to have urgent drink/snack needs during at least part of the competition, but never at the same time. Bonus points will be added for the competitor not yelling at the children during the entire competition, and also bonus points for the closer that it is to lunch/snack time. Still not convinced that it’s a worthy sport? How about a taste of the commentary from an actual competition…. “Well Bob, here we are again on a Tuesday ready for another “laundry with toddlers competition”. “She’s one of our strongest competitors so far, I wonder if she’ll continue to lead after the second round tonight “Folding and Sorting Laundry While Watching Old Seasons of Amazing Race”. And so there you go. I think it has the potential to be riveting. I know Tokyo 2020 is still just under 3 years away, but I’m getting ready now, I’ll be proud to represent. Previous Post Paxton-5 Months Home! Next Post Up And Over Again….